Pop Couture is a Free French sewing patterns and tutorials directory. This is a website that I started to develop a few months ago. I wasn’t sure about talking about it on my English blog as all sewing patterns and tutorials on Pop Couture are in French and only in French. But I thought that some of you might be interested anyway. Plus if you want to follow a French pattern/tutorial but don’t speak any of it, I have a French-English sewing lexicon that can help you. 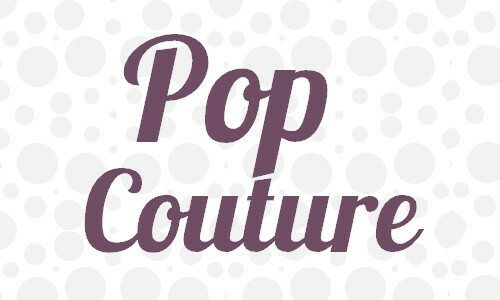 As of today, www.popcouture.fr lists almost 900 free patterns and tutorials. This is a directory that lists and categorizes FREE tutorials and sewing patterns written in FRENCH. It does not host any tutorial or pattern but will redirect you to the page of the tutorial / pattern on the author’s website. The “source” (author of the pattern or tutorial) is of course always clearly indicated and pictures illustrating the patterns are from the “source” site. Why a sewing pattern and tutorial directory ? Of course I already had a page on my French sewing blog where I listed links, but I found the blog format impractical and inappropriate. I wanted to be able to access (and give you access) to something that is easier to use and where it’s easier to find a particular type of pattern or tutorial. That is why I opted for a separate website, easier to navigate with categories (eg.. “femme”) and subcategories (eg. jupe, robe, …). I think it will help my fellow French speaking seamstresses to find what they are looking more easily without clicking on forty links. I wanted to make available to those who create tutorials and those who seek a tutorial, a website where it would be easier to share and find tutorials and patterns. There were such website in English but there were none in French. Can I add my tutorials? But of course ! As long as they are in French ! Simply click on the “Ajouter un patron” at the top of each page on popcouture.fr. There is no need to register for this.